« It would be funny if it weren’t true. 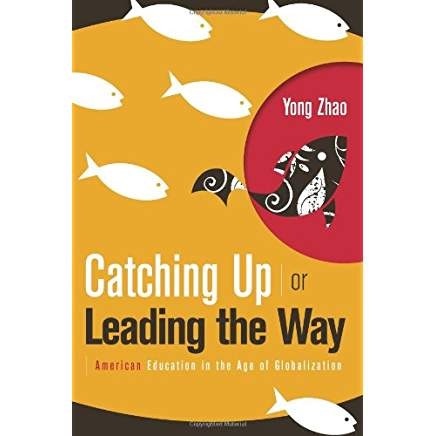 Catching Up or Leading the Way: American Education in the Age of Globalization by Yong Zhao (©2009, ASCD: Alexandria, VA) tells the story of how China seems to want an education that America seems eager to throw away. This is one that respects individual talents, supports divergent thinking, tolerates deviation, and encourages creativity. At the same time, the US government is pushing for the kind of education that China is moving away from. This is one that features standardization of curricula and an emphasis on preparing students for standardized tests. He wonders why Americans who hold individual rights in high regard would let the government dictate what children should learn, when they should learn it, and how they are evaluated. Dr. Zhao grew up in China and immigrated to the US in the 1990’s. Yong Zhao is currently Presidential Chair and Associate Dean for Global Education, College of Education at the University of Oregon, where he also serves as the director of the Center for Advanced Technology in Education (CATE). He is a fellow of the International Academy for Education. Until December, 2010, Yong Zhao was University Distinguished Professor at the College of Education, Michigan State University, where he also served as the founding director of the Center for Teaching and Technology, executive director of the Confucius Institute, as well as the US-China Center. Zhao relates a story about his son who told him that he figured out how to get a better score on Michigan’s NCLB tests. His strategy was to stop being creative and imaginative. Instead he would follow the scoring rubric, that was analyzed and taught by his teacher. His score did improve but for this and other reasons the Zhaos decided to move him to a school that was not governed by NCLB. The most serious consequence of NCLB is that it leads to homogenization of talents. While the intention is to ensure every child receives a good education, the problem is that NCLB practically defines good education as being able to show good scores in a limited number of subjects. As schools conform to standardized curriculum, children are deprived of opportunities to develop talents in other areas. If it works, we will develop a group of individuals with the same abilities, skills, and knowledge. American needs a citizenry of creative individuals with a wide range of talents to sustain its tradition of innovation. Reforms aimed as saving America are putting America in danger. Two gaps are commonly cited as reasons why American schools need to improve. One is the performance gap between whites and minorities, primarily blacks and Hispanics. The other is the gap between average performance of American students and students from other first world countries. Zhao cites work by Berliner (2006) in pointing out that we didn’t need NCLB testing to tell us where to find failing schools since the common characteristic they share is poverty. There is strong evidence to support the idea that even a small reduction in family poverty significantly improves school behavior and student performance. Test bias also contributes. When tested for creative and practical abilities, minorities do much better. This entry was posted on Monday, January 4th, 2010 at 7:17 am	and is filed under Book Summaries, Education Books. You can follow any responses to this entry through the RSS 2.0 feed. You can leave a response, or trackback from your own site. 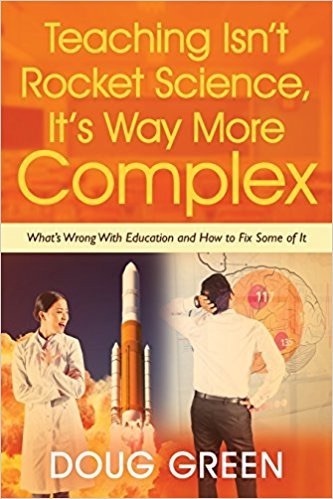 As a teacher and parent continually being bombarded with the benefits of high stakes testing, this is a book I long to read. Thank you. I marvel at the foreign students that flood into our rural schools here and am always warmed by the notion that what they seem to looking for is balance… I continue to search for this in ePub format. Thanks for the review.